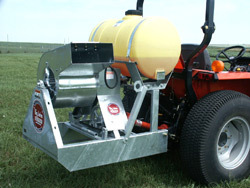 These three point hitch mounted and skid mounted mist sprayers are perfect for general use chemical application for herbicides and pesticides; apply chemicals to control grass hoppers and mosquitos and apply chemicals to row crops, pasture, trees and brush and use to apply chemicals for livestock production. 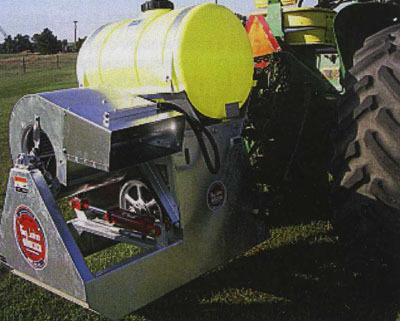 Chemicals are applied in a mist using a blower powered either by your tractor's pto on three point models, or by a gas engine on the skid mounted models. 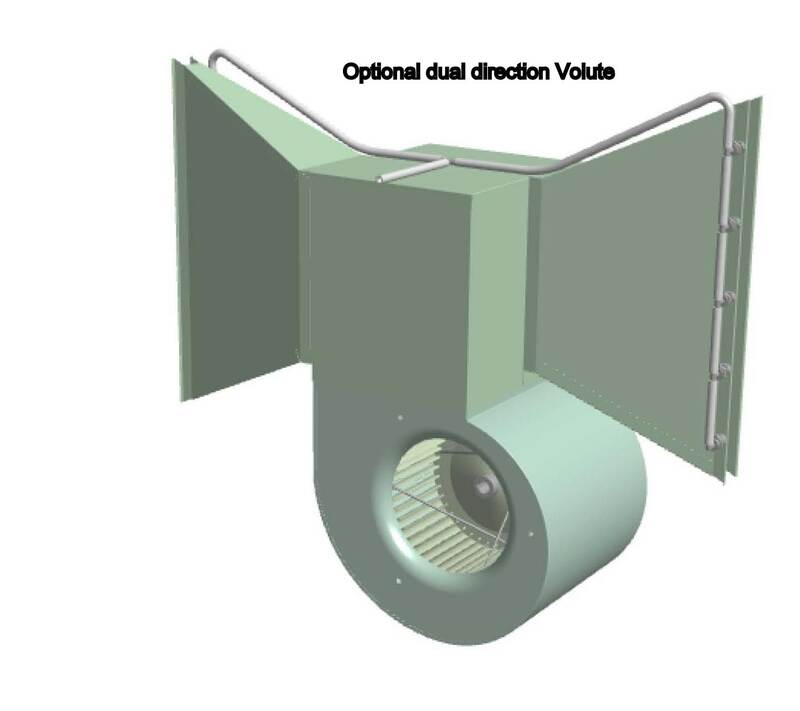 Mist sprayer uses a large adustable position volute with 210 degree rotation. 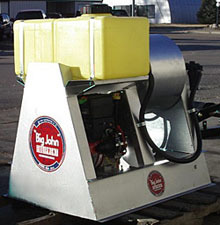 The PTO powered mist sprayers are available with 55 gallon or 110 gallon chemical tanks, and the gas powered models are available with either a 20 or 55 gallon tank depending upon the model. 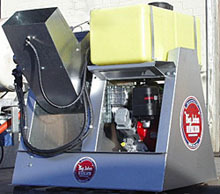 These heavy duty professional machines are designed for agricultural and commercial use. 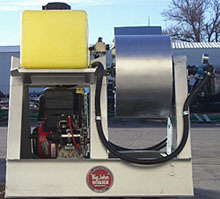 Unit is complete and also includes: roller pump rated at 6 gpm; line strainer; return agitation; pressure regulator and gauge; electric on/off spray valve with switch and operator controlled wiring harness; pump allows you to spray distances of 10 to 100 ft.